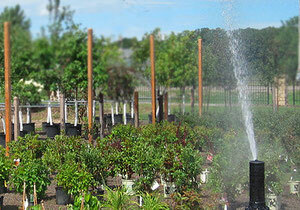 Zimmerman Home & Garden center offers installation and maintenance of a residential or commercial irrigation systems. Let us help you with your irrigation needs. We work on projects for your home or commercial business. We work with Hunter Industries complete line of irrigation products. Hunter Industries products' features, performance and overall level of craftsmanship are unrivaled in the irrigation industry. We also offer the Rain Bird and Toro lines of products, if desired. We have hunter product line at the Garden Center too, so you can get parts as needed.